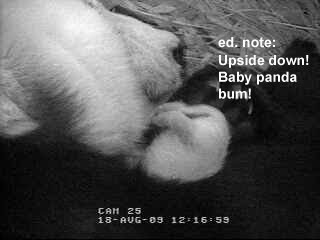 From the San Diego Zoo Panda Cam. He (or she)'s only 13 days old! Thanks, Cute Overload. I needed that. 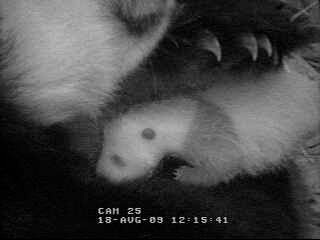 Watch the live Panda Cam here. Too cute for my weary 3pm eyes. Argh! That is ridiculous cute!